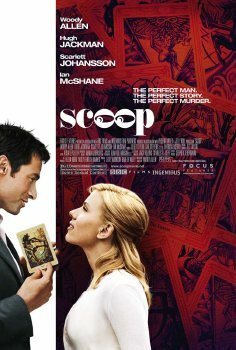 i just saw the trailer for scoop and how excited am i that it is going to be in theaters july 28th? super duper uber excited! i love woody allen, he is just the funniest guy alive with the strangest sense of humor and i love scarlett johansson.. im not really sure why. something about her, i like! and get this... i hear woody allen's next movie stars colin farrell and ewan mcgregor!! aaahhh so awesome! i gotta get my popcorn eating tummy ready! !